Actor Verne Troyer, best known for his iconic role as Mini-Me in the Austin Powers franchise, has reportedly passed away. According to TMZ, his family confirmed the news that the beloved entertainer died Saturday afternoon (April 21). He was 49. 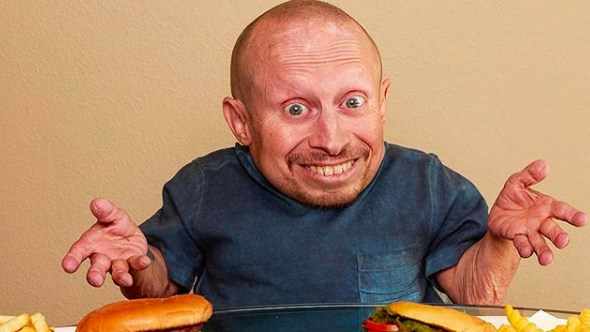 Troyer was born with achondroplasia dwarfism, making him one of the shortest men in the world at 2'8". He previously spoke about his genetic disorder, explaining that his family never treated him differently than his average-sized siblings. While the cause of death has not yet been revealed, Troyer struggled with alcoholism and sought treatment at various rehab centers over the years, as well as battled depression. He reportedly was taken to the hospital earlier this month after a health scare, with TMZ reporting he was treated for possible alcohol poisoning. Troyer appeared in a variety of films throughout his decades-long career, including Harry Potter and the Sorcerer's Stone, Fear and Loathing in Las Vegas, Men in Black, The Love Guru and more. REVOLT TV sends its condolences to Verne Troyer's friends and family during this difficult time. See their statement confirming the sad news, below.